Daan Utsav, India’s festival of giving, also known as the Joy of Giving week, is celebrated every year from October 2-8. In 2017, over 60 lakh people across 200 cities participated in this event; this included over 1,000 companies, 1,000 NGOS and 1,100 events organised across the nation. We believe that enabling the spirit of giving in children will make them socially conscious and take them a step closer to becoming better individuals. In an effort towards this, students from our community centres were also encouraged to participate in acts of giving throughout the week. A total of 25 events took place between October 2 to October 8 at 22 community centres. With the support of 1,291 generous givers, we were able to reach a total of 6,661 people! We are humbled and pleased to share some of the events that took place. 40 students from the centre raised a total of Rs. 600 to provide food for the homeless. The students identified the people in need on the same day and served lunch to 30 people in the area. 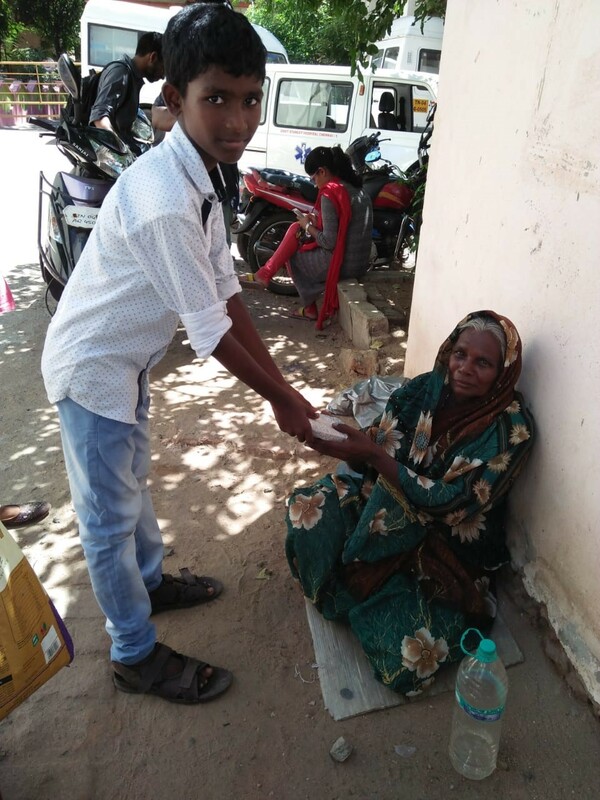 Even though these events took place on October 2, which is a holiday on account of Gandhi Jayanti, it was inspiring to watch the students actively participate in this ‘joy of giving’ throughout the day. 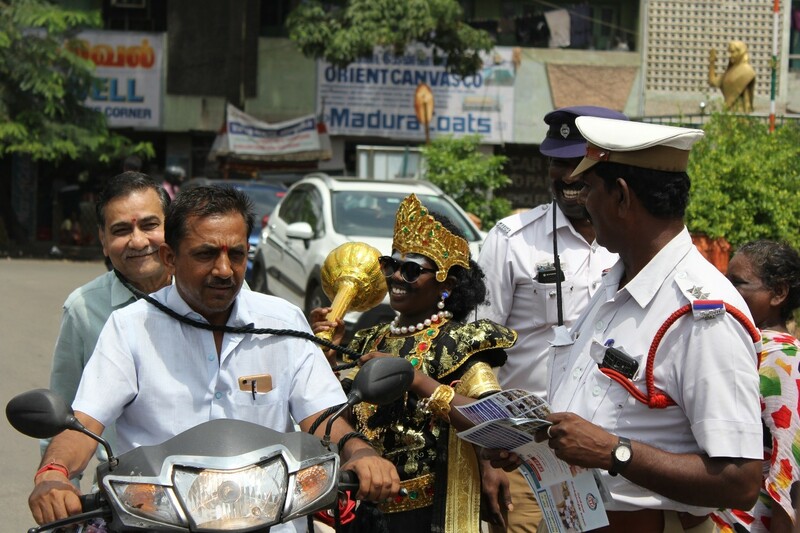 On October 8, students of the Elephant Gate centre conducted a traffic awareness programme in a very different way! One of the students, Rahul, disguised as Yama, caught those who weren’t wearing helmets and provided them with awareness pamphlets at three signals on Walltax Road. The police officials loved the idea and the overall response was absolutely worth it. 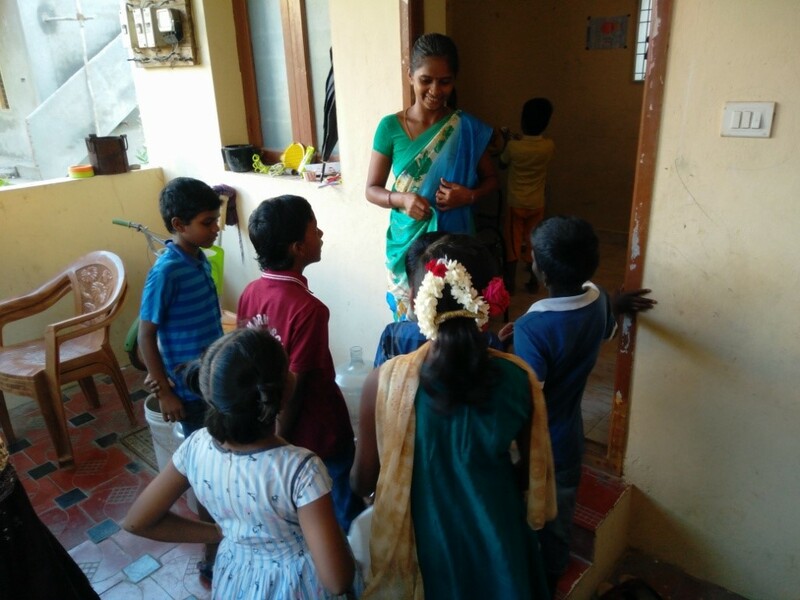 On October 2, which was celebrated as Giving Tuesday, the Vengaivasal community conducted a collection drive of vegetables from 70-80 happy, giving households. The aim being to collect 1 onion and 1 tomato from each household, tutors and students of the community together collected 15-20 kgs of vegetables! This was then given to 24 people, as part of the Sami Old Age Home in Madambakkam. 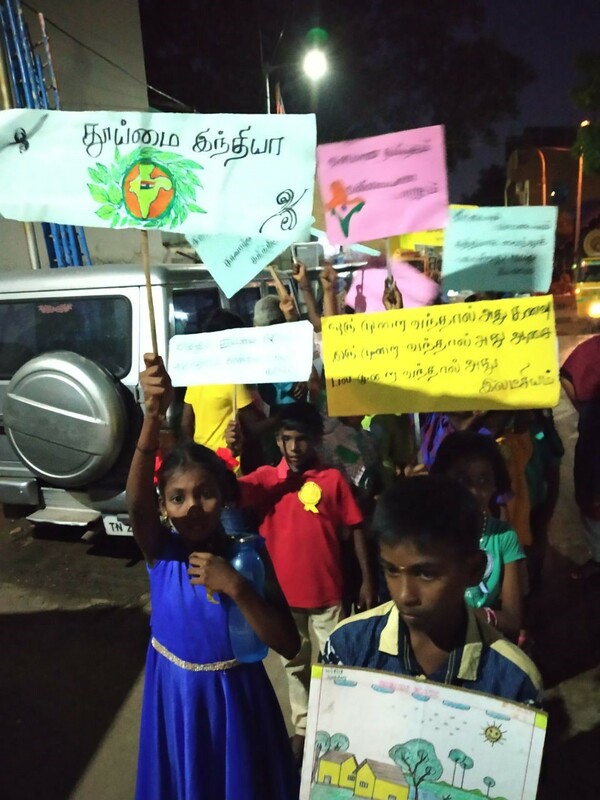 Similar vegetable collection drives also took place in Kozhipannai, Perumbakkam and Thiruneermalai, while Stanley Nagar, Aduthotti and Harinarayanapuram held collection drives for money and other essentials. On October 8, a Clean India rally was planned by 24 students of the centre. Students prepared the placards on their own with charts that were needed for the rally. They covered 7 nearby streets, chanting slogans all along and interacting with a few people from the community, who were curious about what was going on. The rally was followed by a short speech by one of the Bhumians illustrating the importance of a clean environment, and talking about how to maintain cleanliness in the centre and in our own homes. This speech motivated and inspired the kids as well, making the event an absolute success. The remaining centres conducted other events where they honoured teachers, workers, cleaners and mortuary workers. They also conducted a Cancer Awareness Rally and Child Safety Awareness campaign, to name a few more.